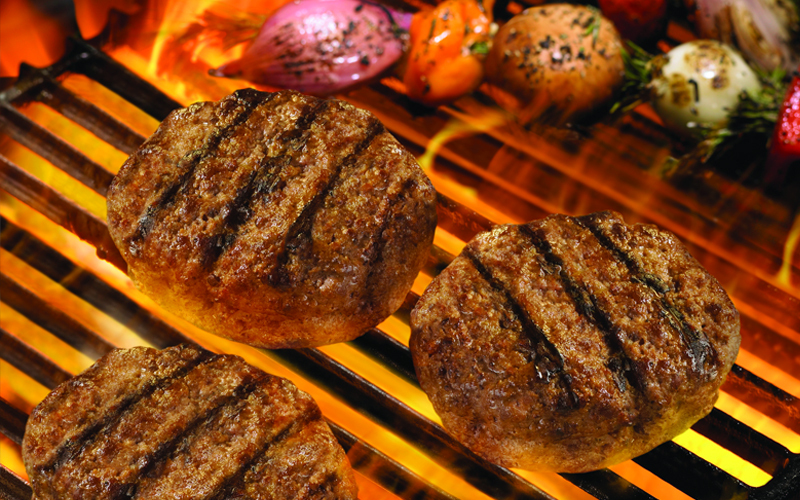 GSF’s Protein Products division has produced high quality beef patties for the QSR industry for more than 65 years. The award-winning company excels in quality, food safety, assured supply, innovative R&D and exceptional customer responsiveness. Golden State Foods produces billions of hamburger patties and other beef products each year for its customers. The company’s meat plant has the capacity to produce more than 400,000 hamburger patties each hour, or the equivalent of nearly 200 million pounds annually. Ground beef is blended to specified leanness, formed to specific patty dimensions, individually quick-frozen, inspected and packaged. Additionally, GSF provides customers with bulk ground meat products. Golden State Foods’ beef plant can produce more than 400,000 hamburger patties each hour, or the equivalent of nearly 200 million pounds annually. Golden State Foods demands the highest standards for both quality and food safety. Each processing plant is federally inspected by the USDA and has a fully-staffed quality assurance laboratory. Quality is monitored throughout the production process and specific controls are implemented for the parameters critical to each customer. GSF has completed the British Retail Consortium audit with an ‘A’ rating to meet the criteria for the Global Food Safety Initiative certification. Continuous improvement and innovation have always been one of the hallmarks of the GSF Meat Products Group. Some substantial developments include: automated conveyor delivery systems, computer-controlled forming equipment, computer-controlled freezing equipment, and innovative forming systems. Leveraging this technology, GSF was able to increase production capacity, saving its customers millions of dollars each year. GSF’s Meat Group continues to build upon its rich history, providing superior quality, safety and innovation standards of excellence to a variety of customers in the foodservice industry.